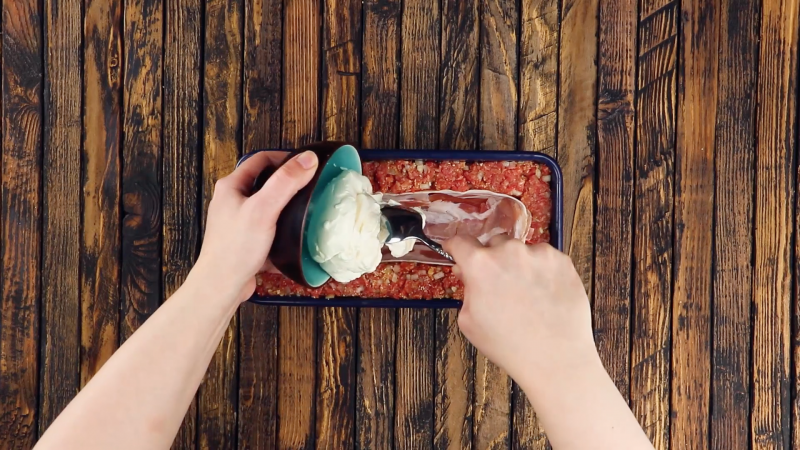 Mom's meatloaf was always the best, with a heavy emphasis on the word "was"... because next to this innovative hearty roast, it looks pretty old. 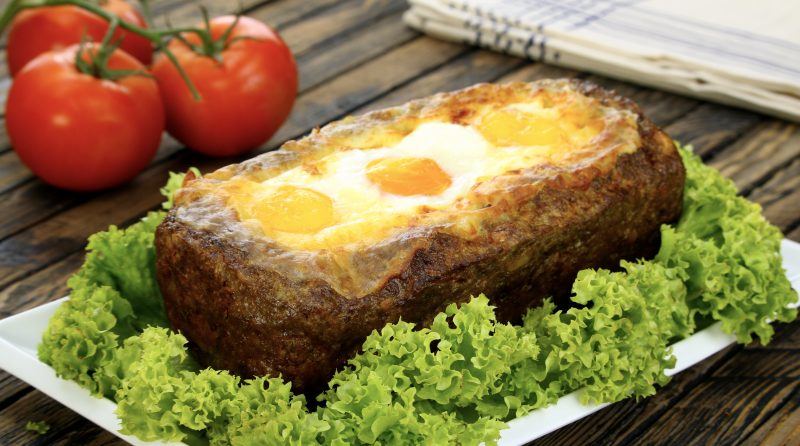 Regardless of which versions and fillings you're familiar with, the following variant of meatloaf boasts innovation and a lot of flavor. 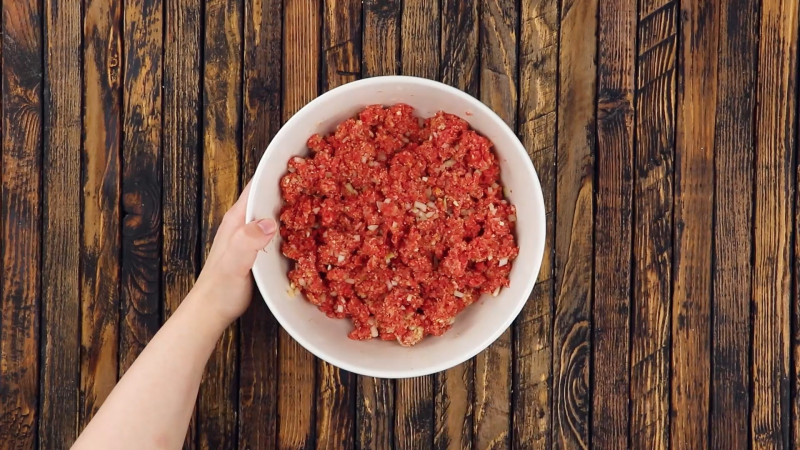 Mix the ground beef, onion, breadcrumbs, one egg, and garlic, as well as a decent portion of salt and pepper, in a large bowl. Put the whole bulk into a loaf pan. Then press a trough into the middle. First you line this trough with bacon, all over, even on the sides. Then you add the cream cheese. 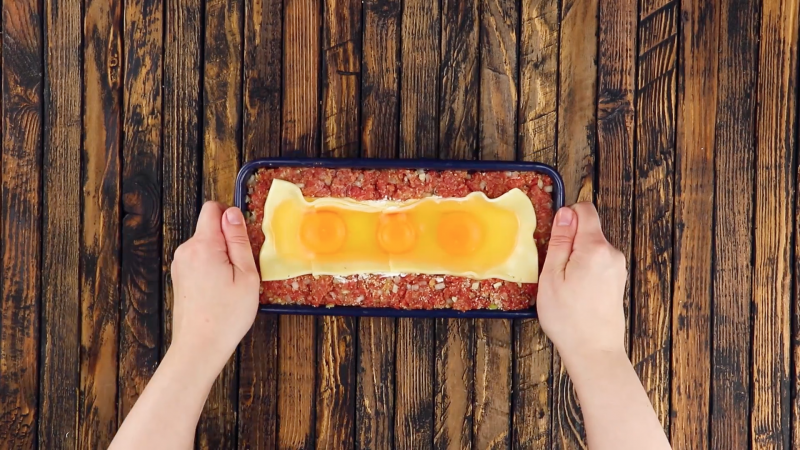 Then you cover the cream cheese with sliced cheese and put three eggs on top. Finally bake the meatloaf at 350°F for 60 minutes. Then serve. 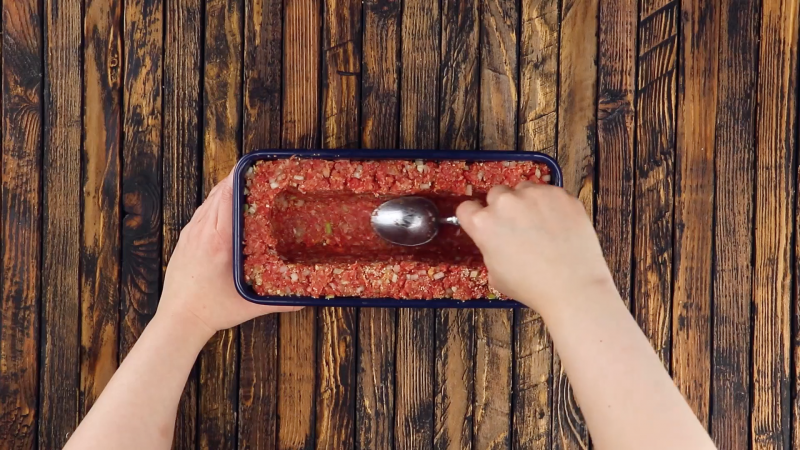 With this potent, brimming meatloaf the whole family will be well provided for. When people quickly request a second helping, you shouldn't be surprised. The filling is just too enticing!